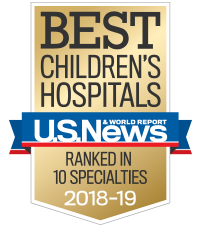 Whether you’re searching for a rewarding way to spend your time or looking for opportunities to give, the patients and families at Children's Healthcare of Atlanta need you. At Children’s, volunteers assist with everything from patient care to customer service and administrative support. Whether you’re helping at the gift shop, making a delivery to a patient’s room, or interacting at the bedside, you will positively affect a family’s hospital experience. Children's offers many hospital volunteer and educational opportunities for a variety of ages and groups. The types of activities you can provide for patients and families at Children’s are unlimited and we welcome your creative ideas. We provide guidelines and suggestions to help you with your planning. Thank you for donating your time to the patients at Children’s Healthcare of Atlanta. Use these resources to log your off-site volunteer hours, see your schedule, and receive updated messages.